This last Christmas, there were a couple of surprise gifts for Ayla and I. Tonight, we finally got to build them. The above two pics are the completed items. 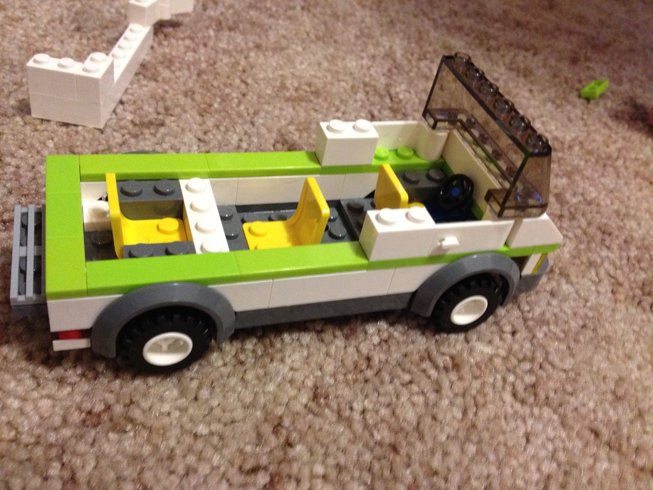 It took us a good hour to build these two camping LEGO sets. Getting all of the parts out of their plastic bags, we made sure we didn’t mix any of them since we wanted to go by the guide book to put them together. 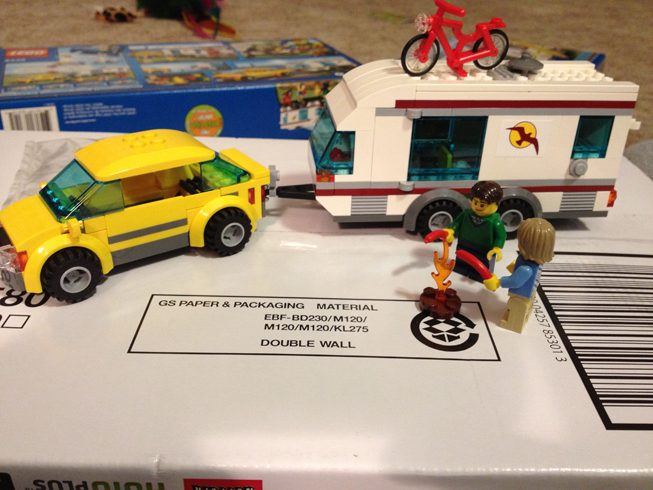 The first set is of a car and trailer, which comes with two minifigs, a bike and hot dogs being cooked over the fire. 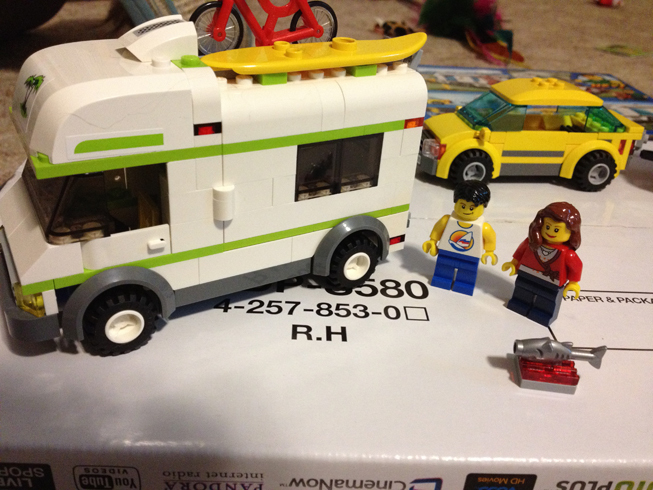 The second set is of a motorhome, which comes with two minifigs, a bike, surfboard and a fish being cooked on a grill. 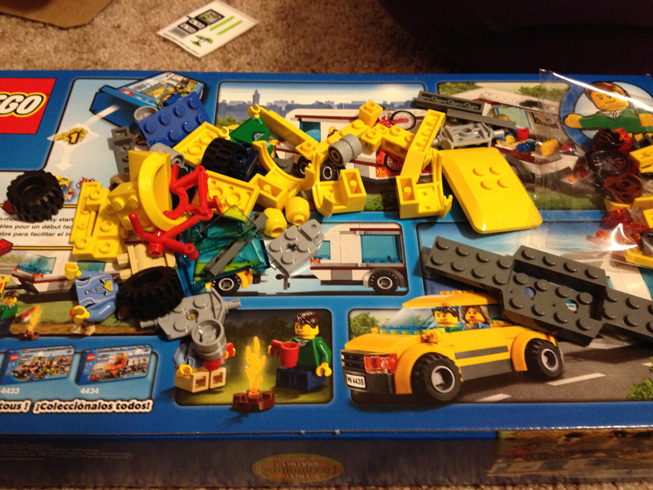 We had a lot of fun with the LEGO sets. Once they were together, we admired our LEGO creations. We plan to use them in a future camping adventure. Stay tuned this summer. Well, the top pic looks like Reba and Marty and the next pic looks like Ayla and Marty. So, I would have to say these sets are FABULOUS!!! Have a good trip …. Thanks, Jo. 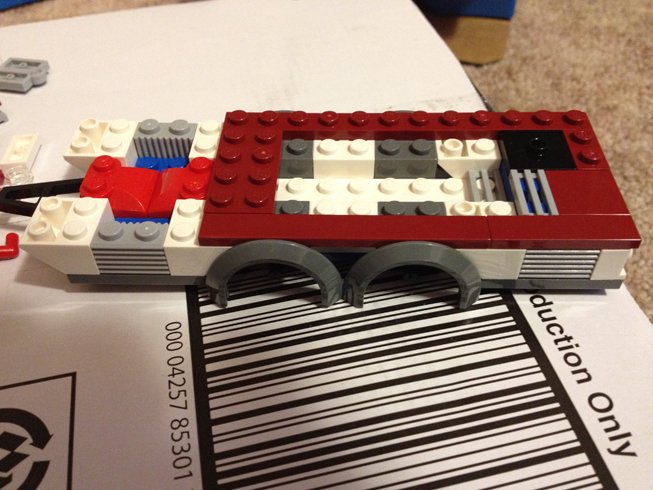 You know how much I like the LEGOs and sharing with Ayla is even better. Nice! 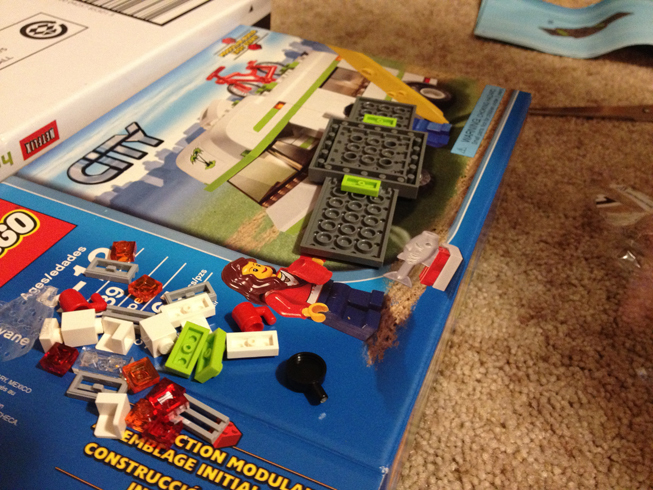 I debated those sets for a while but never actually bought either of them. I saw them in a TRU ad and decided they would make a good addition to the collection. Yeah, that surfboard on the top is a nice touch.